Taking Skinny Fiber or Skinny Body Max can significantly help control your appetite, block / burn fat and aid in healthy digestion. 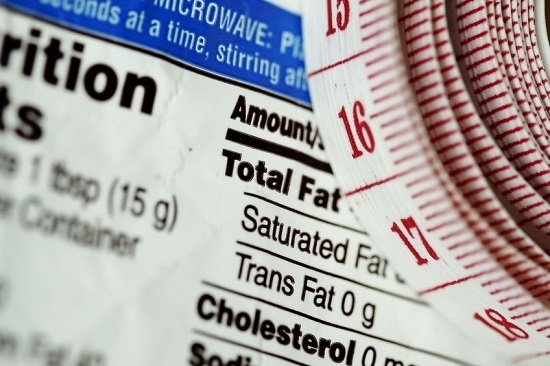 In short, these products can help you do better with your weight loss goals. Some of you will start losing weight effortlessly because of your willpower or your body is more responsive from the start. Some of you will have to make a conscious effort to detect and stop eating when the Skinny Fiber or Skinny Body Max makes you feel full because food addiction makes this part of weight loss more challenging for you. Regardless, you can "take the bull by the horns" to better control your outcome over the next few months. One way is to learn how to eat 250 to 500 less calories a day. This small change can become as effortless as taking your Skinny Fiber or Skinny Body Max, and help you experience more success during your 90 day challenge. The first thing to do is gauge your starting point. You can roughly estimate how many calories you eat each day by how much you weigh, age and how active you are each day. A woman 30 years old @ 180 pound and 5 feet 5 inches tall and that doesn't workout (sedentary), needs about 2000 calories a day to maintain her weight --- 2148 calories exactly to maintain 180 pounds, so if she eats 500 calories less than this amount (or eats 250 less and exercises 250 or more calories off), she can lose weight. If this same 30 year old woman does moderate exercise every day each week, we will lose weight at her current calorie intake because she is burning more calories, therefore she would need 2683 calories a day to maintain 180 pounds and eating 2148 calories a day would be 535 calories less than her body is used to and help her lose weight each week. USE THIS CALORIE CALCULATOR to estimate how many calories you eat each day by your age, height and activity. 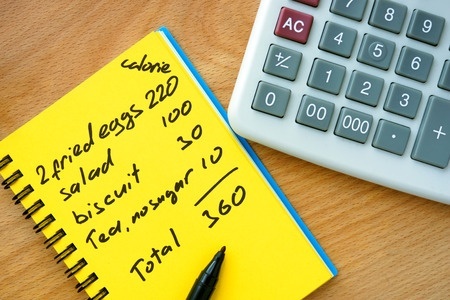 Use an app, website or manually calculate / track your calories each day. If you don't want to track, get rid of your problem food / drink calories per day to automatically ditch the extra calories (see below). Some people use a website / app called MyFitnessPal to track everything (food, calories, fitness) in one place. It is a good service and helps a lot of people, THE PROBLEM IS that MyFitnessPal suggests very low calorie intakes (like 1200 calories per day) and this makes people that need to lose a lot of weight give up on their weight loss goals. If you use it, you will need to set it to the calorie amount in STEP 2 and go by that so that you don't end up feeling deprived, hungry and cranky. I suggest using CRONOMETER instead of MyFitnessPal because Cronometer weans down the calories and gives you a better nutritional breakdown --- or --- you can simply use this FOOD / CALORIE SEARCH to type in what you eat and calculate the calories manually in a notebook. - 1 can of Pepsi has 150 calories (sugar). - 8 oz of orange juice is about 111 calories (most usual people drink more than 8 oz). - 5 oz glass of Merlot wine is 122 calories / 5 oz of white zinfandel is 108 to 110 calories. - 1 white russian drink ranges from 227 to 385 calories. - 8 oz of 2% milk is 122 calories. Point being to stop drinking your calories ... You won't miss them! If you ditch the booze, pop and other high calorie drinks each day and you will cut down 250 calories or more each day. It is ok to drink milk but not all day long ... 3 small cups of 2% milk a day could equal 366 calories which is about the same calories as a hamburger on a bun! Drink 1/2 your weight in ounces of water each day and you will stay well hydrated, ditch extra calories and help your Skinny Fiber or Skinny Body Max flush the toxins from your body!!! Have You Been Bulking Up With Bread, Noodles & Rice? Bread, noodles and rice get the best of us. Often we eat more than we need in a day and twice the serving sizes at meals. They also work horribly in our body; carbs that are converted to sugar quickly, create cravings and don't keep us full as long. 117 Calories in a hamburger or hotdog bun. 221 Calories in a cup of plain spaghetti. 206 Calories in a cup of white rice. Save on calories by not eating bread, noodles and rice as much, and if you must eat the reduced sized or sprouted bread options. Cauliflower rice is delicious lower calorie swap for rice. Squash is a great swap for spaghetti and other noodles. It is ok to eat two green veggies as side dish or to have a sweet potato, sliced green apple or a healthy serving of cauliflower mash instead of fresh fries. Increase your high fiber green vegetables and low sugar fruits to save a bunch of calories each day and crave less bread, rice and noodles. Eat Breakfast & Make It A Healthy / Hearty One! Skipping breakfast or eating too little is a downfall for many. Having a hearty breakfast can help hold your appetite for longer all day; it is actually the best meal to have a larger amount of calories in comparison to dinner which can end your might on a heavy note. If you can't eat hearty in the mornings, at least eat the healthiest,most filling, foods! Oatmeal is high in fiber and filling, only eat one serving, use stevia instead of sugar, a little almond milk if needed. Also, oatmeal is a calming food, so if you work a high stress job or have anxiety, oatmeal is a great choice for you! This may seem bare without the toast, but eggs are high in protein and good fat --- can keep you full for a long time and your body uses it more efficiently than if you added the refined carbs. You can add veggies to the eggs (make an omelet) and that will be good, too. Buy powdered protein that is low in carbs and sugar; highest in protein. Make smoothies that are high in green and low in high sugar foods ... Powdered peanut butter or low sugar peanut butter, flax or chia seeds, coconut oil, etc., are great additions to your smoothies or protein shakes to make them "stick to your ribs" for longer and provide the best nutritional value to start your day. We hear a lot about eating healthy fats and this does include certain oils like olive oil, coconut oil, olive oils, butter, etc. The point here is that you need to watch your portions of these oils ... They are not healthier for you in excess of what your body needs and they increase your daily calories by 102 to 124 calories per serving (for the stated 3 types of oils), so if you are not measuring and using a little extra ... Keep in mind that salad dressings really add up, too. Monitoring how much butter and oil you are cooking with and adding to food could very well save you 250 to 500 calories a day. This is the same for how much mayonnaise and salad dressing you use each day, too. Experimenting with herbs and using spices help you keep the need for butter, mayonnaise and oil to a minimum. Instead of buying yogurt with fruit already in it (because it is high in sugar), cut your own berries and mix them into your greek yogurt; you can add a little stevia to them if not as ripe as you prefer. A handful of nuts is a serving and can actually kill the hunger pangs and reduce cravings. Doritos, Cheetos and Potato Chips are not your friend and you can ditch a lot of calories each week by swapping them out for healthier chips like kale chips or zucchini chips; even baked potato chips are better than the bagged chips you get at the store. The difference between chips made from kale or zucchini is that they do not have the same calories or carb affect on your body, so they are suggested more than the baked potato chips. A little serving of banana ice cream, frozen grapes, etc., are such a healthy alternative to ice cream, cakes, and such. If you have a sweet tooth, this is a smarter swap. Laying off the store bought premade foods and snacks could be the difference between 250 to 500 calories a day!!! Cook your own food instead of eating out. Plan ahead if you must eat at restaurants! You Don't Have To Starve or Count Calories For A Long Time! Counting calories helps but it is time consuming and not a lot of fun, but if you commit to doing it for a little while to determine that you are eating the proper portion sizes for the foods you like AND long enough to see which are your trouble foods that are packing on the pounds. Understand the calories you need, eat your meals at the same time each day and once you get the portions / calories down, you can eat the same healthy meals in rotation ... all can help you eat 250 to 500 less calories each day while your Skinny Fiber or Skinny Body Max is helping your body. I really hope that you've found some value in this blog post. If so, please comment, share with friends, and connect with me on Facebook for more tips! Keep working at your weight loss goals!!! !